Veneers are a popular cosmetic treatment for improvement of teeth and smile. They can make your teeth whiter and more even-looking. Dental Veneers in San Jose can save you upto 70% of the cost. 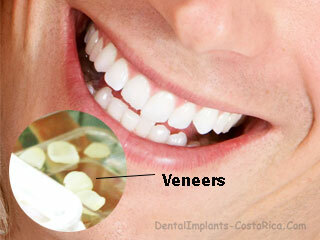 Why Get Veneers in Costa Rica? The cost of dental work in San Jose, CR can be a third of the prices in the United States or Canada. You can save more than 60% on all dental treatments. 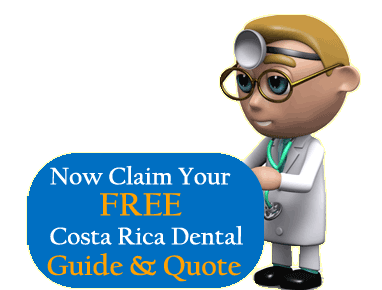 The cost of porcelain veneers in Costa Rica is about $390. 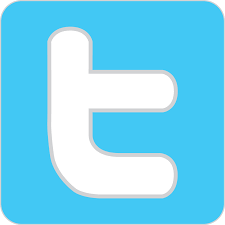 (Contact us for the latest prices through the website quote-form). 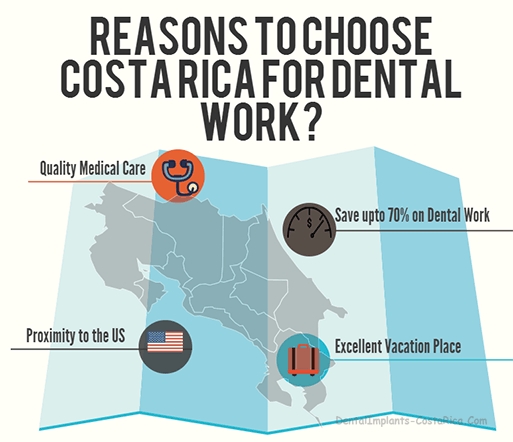 The close proximity of Costa Rica to the U.S. and Canada makes it an ideal destination for American medical tourists. Apart from dental specialists and assistants, experienced case managers are also part of the team. The country is an amazing destination with immaculate beaches and rainforests making it an excellent vacation spot. San Jose too abounds with tourist attractions that can enhance your dental trip. Click here for more information on the must-sees of the capital city. Check out additional travel related information for those considering dental veneers in San Jose, CR. A Porcelain Veneer is a thin layer of shells that is attached to the front part of teeth to improve one’s appearance. The laminate shells serve as a protective layer to shield the teeth from wear and tear. Indications for veneers include teeth with surfaces that are discolored, chipped and misaligned or teeth that have gap between them. Fill the form on your right and receive a free estimate for your dental veneers. Visiting a dentist and determining whether veneers are the right option for you is the first step. Also ask your dentist for alternate solutions available, flaws to be corrected and the cosmetic improvements you want to accomplish. The dentist will analyse your oral health and create a mock-up to ascertain your smile following treatment. We use advanced three-dimensional computer images to create accurate dental impression of the patients. 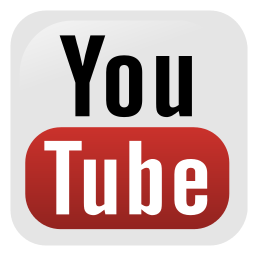 Our dental implant surgeon in Costa Rica talks about porcelain veneers in this video. One can have multiple veneers in a single sitting. The dentist removes about 1/2 millimeter of enamel from the tooth surface to prepare it for a veneer. The tooth impression is sent to a dental laboratory. The process usually takes 1-2 weeks to get your veneers back from the laboratory. Before fixing the dental veneer to your teeth the dentist will examine its size and color. The veneer is trimmed as required to achieve the proper fit. Preparing your tooth to receive it is an essential step and requires the tooth to be cleaned, polished, and etched to allow a strong bonding process. Special cement is applied to the veneer and the chemical in cement is activated by applying a laser beam that causes it to harden quickly. No. Follow good oral hygiene and avoid stain-causing foods and beverages like coffee and tea. Discolored teeth, teeth that are worn down or uneven, misaligned teeth or teeth that have been chipped can be concealed by veneers. Note – Prices may be changed without prior notice. For the latest info, get in touch with us through the contact form on the right. In a study conducted by Dr. Gresnigt and Dr. Özcan, survival rates for veneer restorations were 94%1. 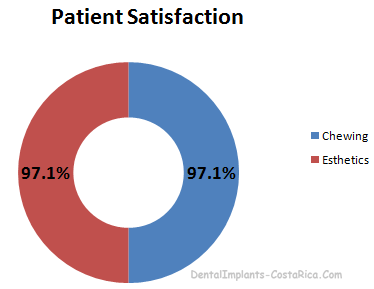 Patient satisfaction rate was pegged at 97%. According to Maria Granell-Ruiz, Antonio Fons-Font and colleagues, 97.1% of the patients were comfortable with the restorations and had no problems with chewing2. I have a gap between my front teeth; can veneers work for me? Yes, a gap is called a diastema and can be successfully closed with veneers, as long as it is not too wide. Will I get cavities with porcelain veneers? Getting veneers does not mean you are not prone to gum diseases or other dental problems. According to M. Peumans, B. Van Meerbeek and colleagues3 – Porcelain retains plaque less than other restorative materials and is considered the most aesthetic and biocompatible material. Whom do I contact in case I need help? 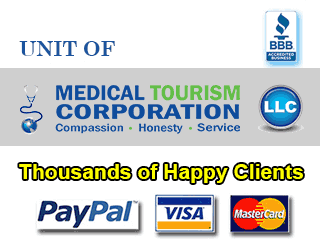 Our doctors are available on phone and e-mail for follow-up. 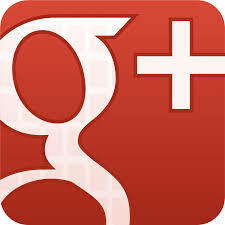 You can also call us at +1 214 431 5153. An affordable alternative to porcelain veneers, composite veneers are made from a combination of materials. They are also known as direct composite bonding and correct existing abnormalities, esthetics and discoloration problems4. Drilling is done by dentist to reshape the tooth to receive the veneer. A mould is prepared in the laboratory after taking teeth impressions. The teeth are cleaned and scrapped to secure the new set of veneers. The veneers are fitted over the teeth with dental cement. With the help of curing light the cement is hardened and any excess cement is wiped away. Lumineers are ultra-thin ceramic shells providing solution for chipped, cracked and uneven teeth. They are so thin that little or no tooth cutback is necessary unlike traditional veneers. At the same time, they resist micro-leakage and micro-cracking. They are designed to be as thin as contact lens so they can be applied seamlessly over the teeth for a perfect smile. Traditional veneers require the grinding down of healthy tooth structure to accommodate them; lumineers are ultra-thin, so in most cases, you will get a perfect fit without grinding down of the original tooth structure. Once the procedure is completed, there is no discomfort or sensitivity, which means lumineers feel comfortable from the moment they are placed. Clinical testing has proven that ceramic veneers have success rate of 95% at three years5. Sven Rinke and colleagues conducted a study on 37 patients for three years and found ceramic veneers have a success rate of 95.1%. Can I still chew gum and eat my favorite foods? There are no limitations to what you can eat or drink as lumineers are placed over original teeth. However, visiting your dentist every 6 months for a check-up and cleaning to keep your lumineers looking their best is recommended. There are certain foods which are not recommended (immediately after the placement) post veneer placement. These dos and don’ts are applicable for temporary veneers as well. To prevent dental problems brush and floss regularly. Use non-abrasive fluoride toothpaste while brushing. Brush your teeth with a soft toothbrush twice daily. Do not smoke as it may stain your restoration. Clean around your gumline carefully. Rinse the mouth with warm water after each meal to minimize plaque buildup. Be careful with what you eat – do not bite hard objects like carrots, ice cubes or fingernails as they can damage veneers. Avoid opening packages, bags, or nuts with teeth. If you are a bruxer i.e. you have a habit of grinding your teeth, please let your dentist know. You may need an occlusal (bite guard) to lessen the stress placed upon your teeth while you sleep. Regular maintenance and dental check-ups are recommended to ensure good oral health of your veneers. To make your appointment for dental veneers in San Jose – Costa Rica, you can call us on +1 1 214 431 5153 for a free consultation or use our website contact form to get in touch. 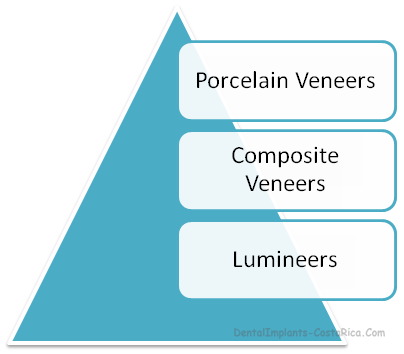 Korkut B, Yanıkoğlu F, Günday M. Direct Composite Laminate Veneers: Three Case Reports.Journal of Dental Research, Dental Clinics, Dental Prospects. 2013;7(2):105-111. doi:10.5681/joddd.2013.019.